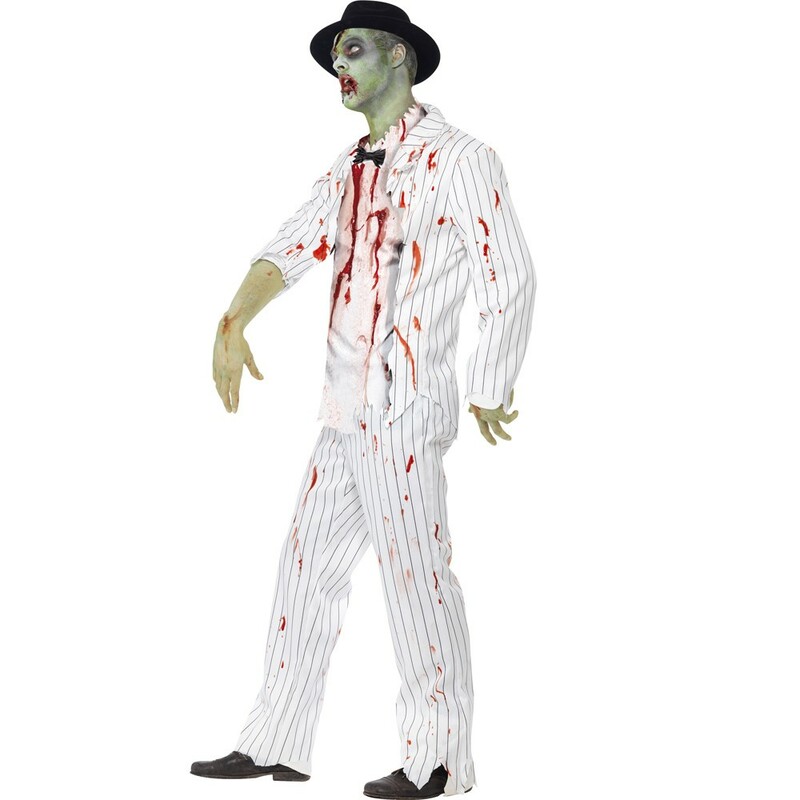 A Zombie White Gangster Costume including a Jacket, Top Trousers, and Bow Tie – Ideal for Halloween, or any fancy dress occasion! 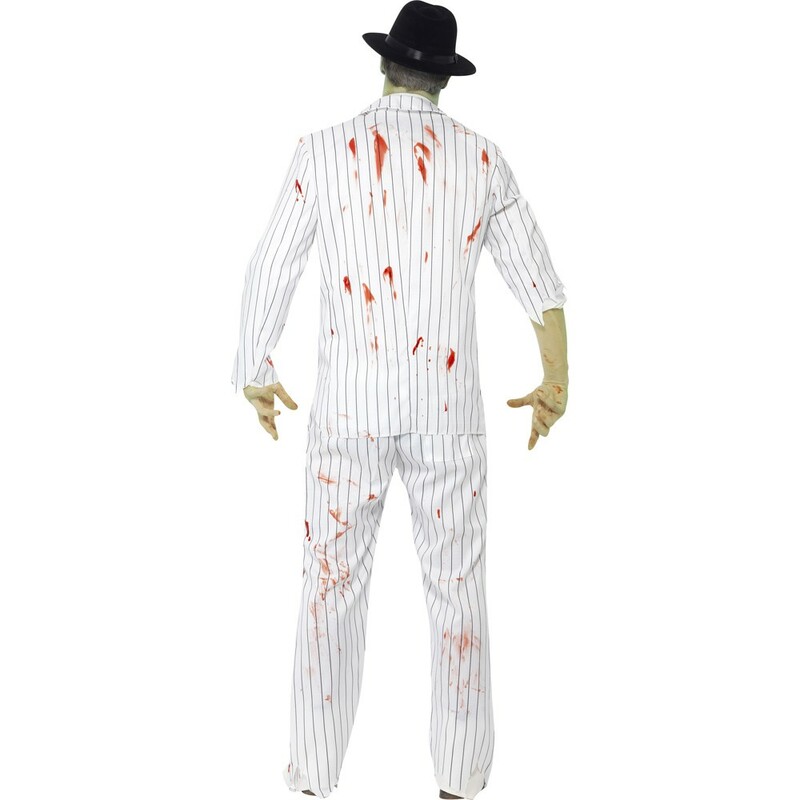 Size guidelines: to fit up to a 38-40” Chest, and 42-44” Chest. 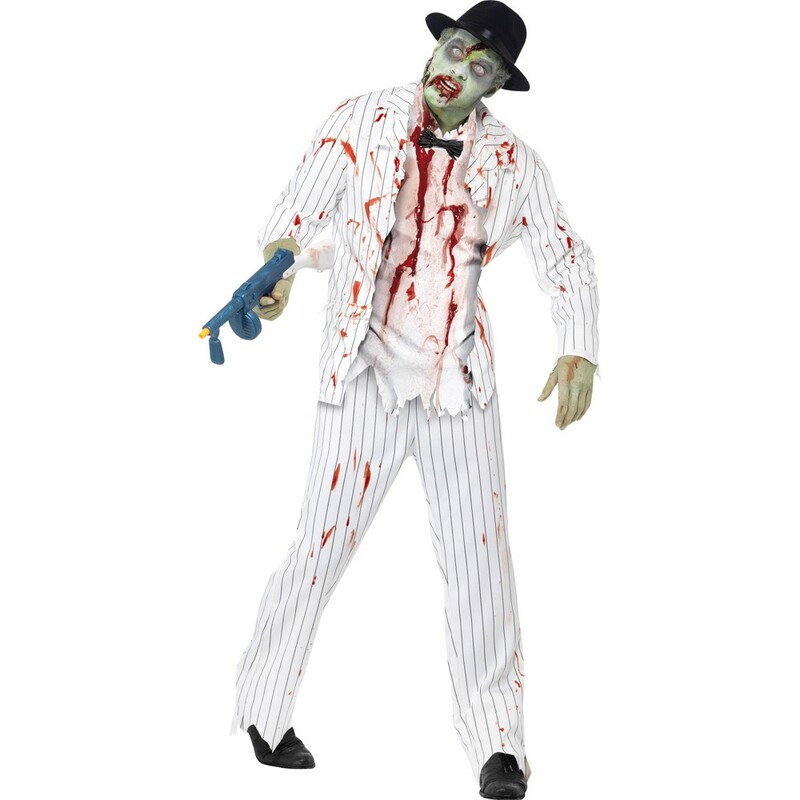 A Zombie White Gangster Costume including a Jacket, Top with Latex Pieces, Trousers, and Bow Tie.